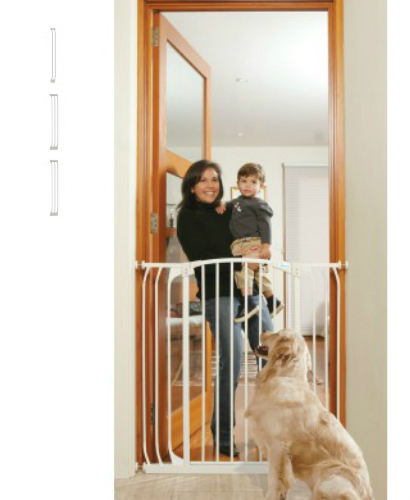 Low prices and free shipping on a wide hallway baby gate that swings close. Extendable up to 53 inches. White package. 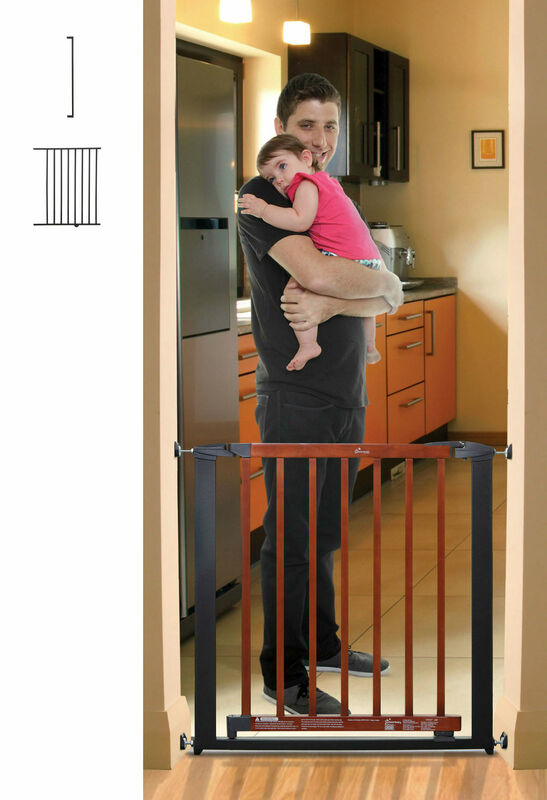 Hallway Security Baby Gate Plus 10.5″” Extension – Black (49″” to 52.5″”W) is the standard height version of 29.5″” and features a convenient walk-through door opening 20 inches wide. The door opens in both directions and swings closed automatically. White Liberty Xtra Hallway Security Baby Gate Plus 10.5 inch extension – Suitable for doorways and hallways. Gate stays open in both directions. Simple one-handed operation. Pressure Mounted and easy to install. Metropolitan Pressure Mounted Baby Gate Plus 22 inch extension-Silver with Dark Wood has a silver colored, steel frame with a wooden door frame and strong, tinted, polycarbonate panel. The door swings open in both directions and swings closed automatically. 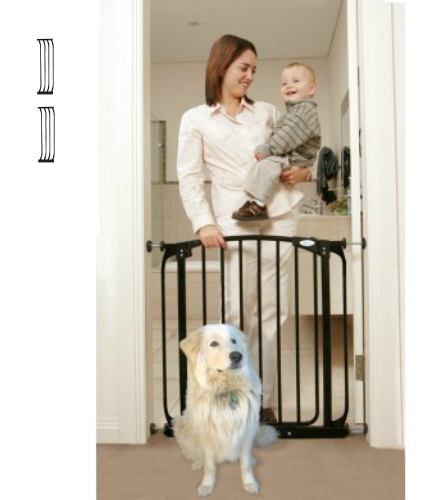 Low prices and free shipping on a wide hallway baby gate that swings close. Extendable up to 53 inches. Black package. Retractable Baby Gate can be used both outdoors and indoors and is suitable for doorways, hallways and stairs. 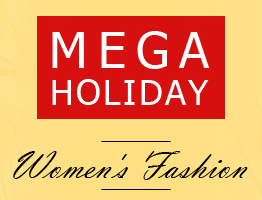 It is made with sturdy and durable mesh and is UV protected. 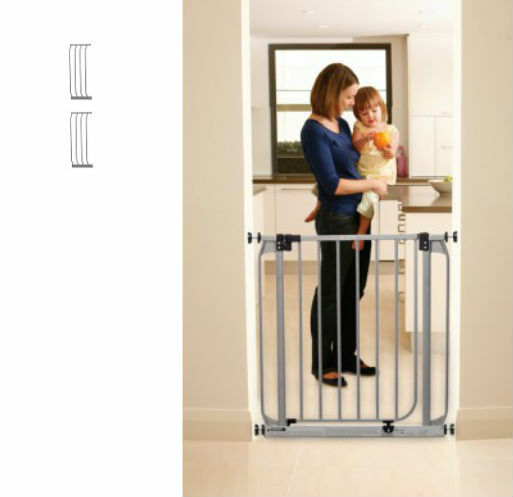 The white Liberty Xtra Hallway Security Baby Gate Plus 3.5 and 7 inch extensions is suitable for doorways and hallways. Gate stays open in both directions. Simple one-handed operation. Pressure Mounted and easy to install. 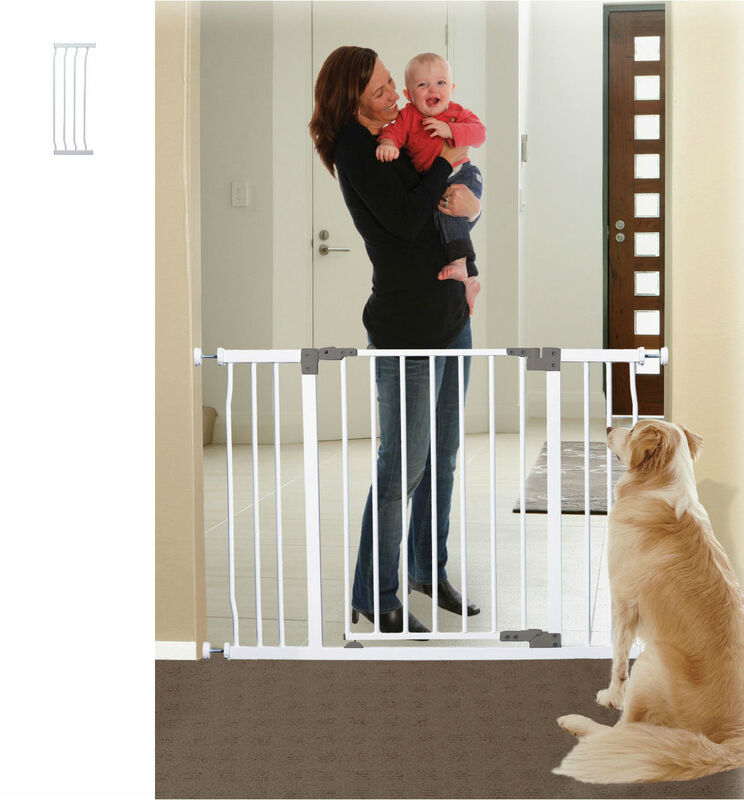 The Dawson Swing Closed Security Baby Gate Plus Two 10.5 is a silver colored, steel, pressure mounted gate with a door that opens in both directions and swings closed automatically. Door can be left in open position if required. 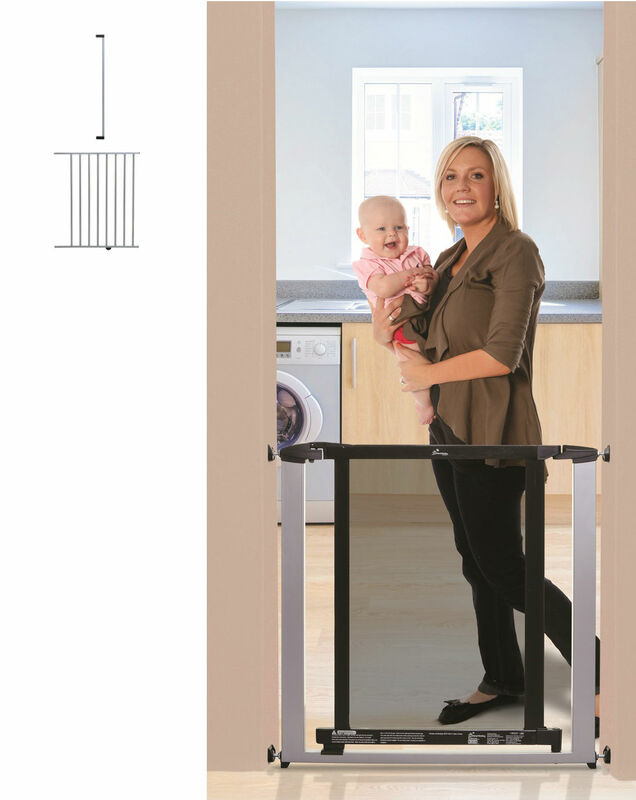 The extra tall white hallway baby gate combo plus 7 package provides even greater flexibility. With 39.4 inches in height and 5 width options ranging from 38 inches to 56.5 inches, great for hallways or doorways. 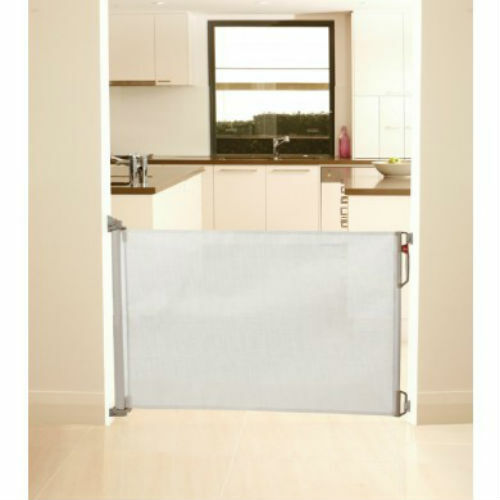 The white Liberty Security Baby Gate Plus Two 10.5 inch extensions is suitable for doorways and hallways. Gate stays open in both directions. Simple one-handed operation. Sturdy, Pressure Mounted and easy to install. The Black Retractable Baby Gate can be used both outdoors and indoors and is suitable for doorways, hallways and stairs. 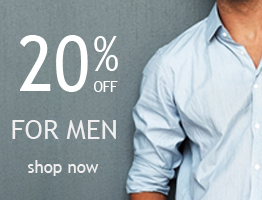 It is made with sturdy and durable mesh and is UV protected. 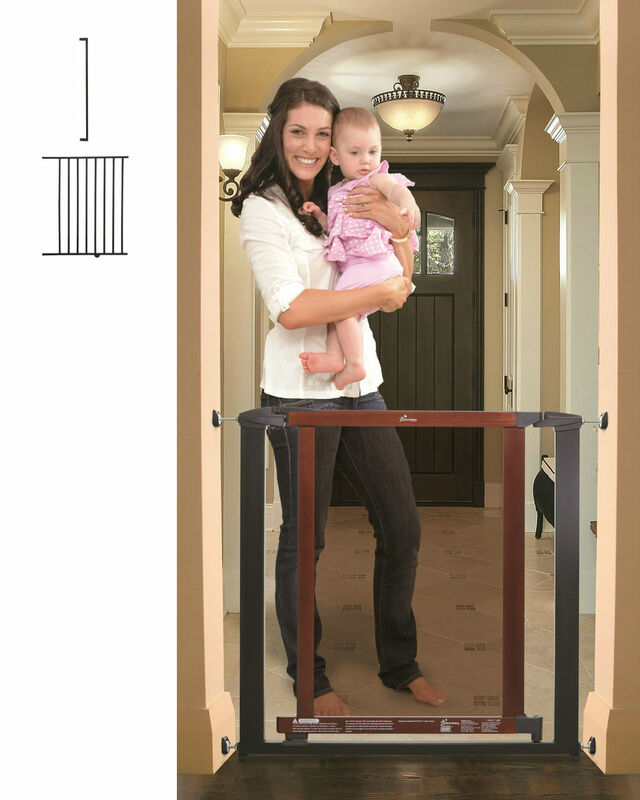 The Metropolitan Pressure Mounted Baby Gate Plus 22″ Extension – Charcoal w/Cherry Color Wood has a charcoal colored, steel frame with a cherry color wooden door frame and strong, tinted, polycarbonate panel. Door swings open in both directions. The Windsor Pressure Mounted Baby Gate Plus 22 – Charcoal w/Cherry Color Wood has a charcoal colored, steel frame with a cherry color wood slat door. Door swings open in both directions and swings closed automatically. The Windsor Pressure Mounted Baby Gate Plus 22 – Silver with Dark Wood has a silver colored, steel frame with a dark wood slat door. The door swings open in both directions and swings closed automatically but can be adjusted to open in one direction only. One third off, on the amazing extra tall hallway combo baby gate package. Pressure mounted with a swing close gate system. 39.4 inches in height and up to 53 inches in width. Black package. 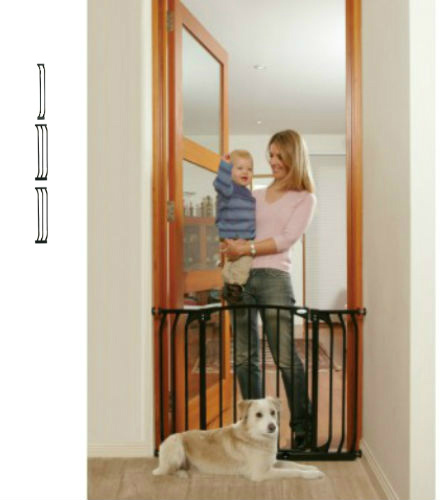 The Plus 7 Package includes the Black Swing Close Hallway Gate Combo plus an additional 7 inch extension. This kit provides for 5 width range options up to a maximum of 56.5 inches. 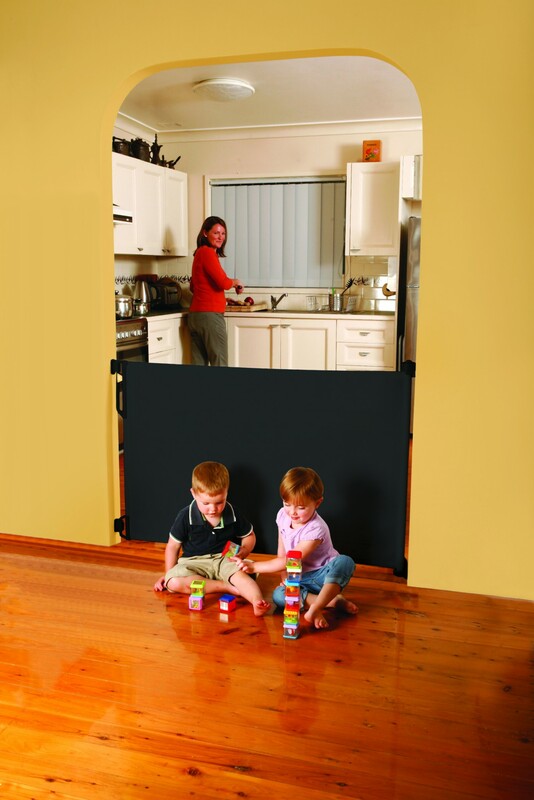 The extra tall black hallway baby gate combo plus 7 package provides even greater flexibility. With 39.4 inches in height and 5 width options ranging from 38 inches to 56.5 inches, great for hallways or doorways. 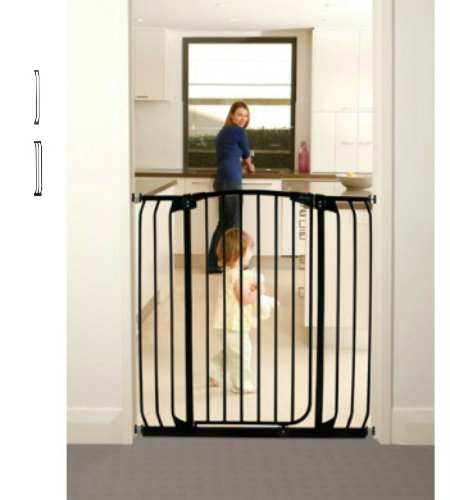 This package of the Swing Close Security Baby Gate includes a black pressure mounted gate with two 10.5″ extensions. It is very easy to set up and take down. 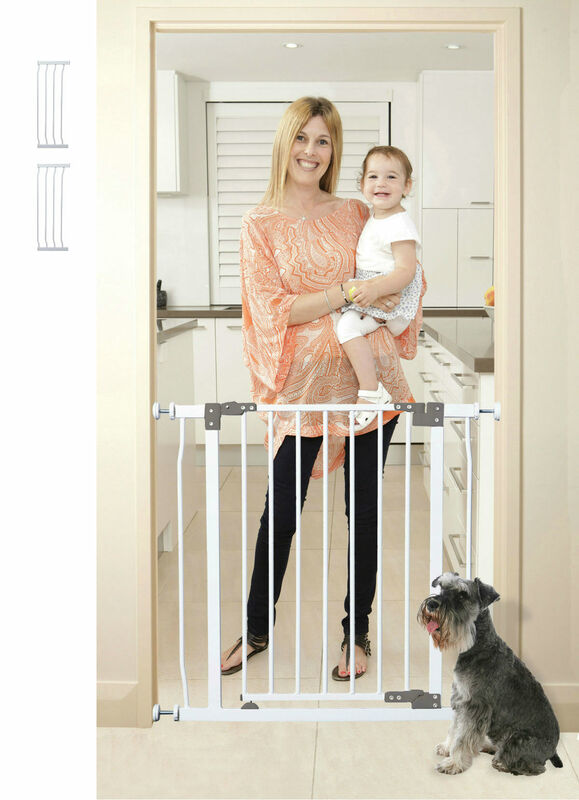 Great for hallways or doorways this gate reaches a width from 50 to 52 inches.